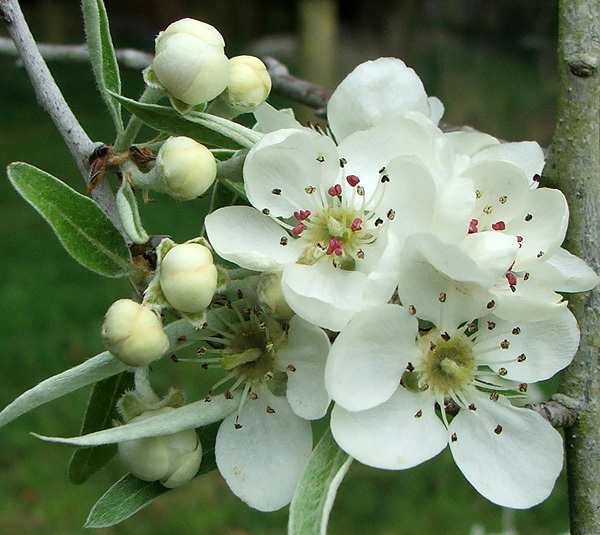 Good gardeners know that weeping Silver Pear trees are super-stylish and very ornamental. They should be planted in highly visible garden spots, in order to impress. 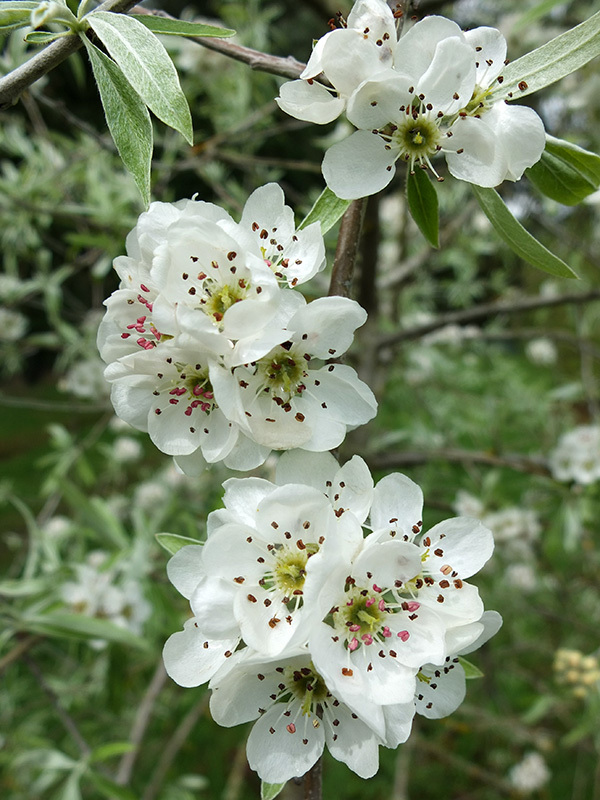 I bought a weeping Silver Pear (it cost me heaps) when I was still under the influence of the English shrubs-and-perennials gardenscape. Alas - for some unknown reason, in a moment of style rebellion, I planted mine out of sight in the Hazelnut Orchard. It's all alone, at the beginning of a row of raspberry canes, far too easily forgotten. One spring I even missed the blossom altogether! Non-Gardening Partner has nobly resisted my efforts to get the tree transplanted. Now I fear it's just too old and set in its ways, growing in the rough grass of the orchard paddock. Aha! I spoke too soon! After a bit of tree damage in a wind storm, NGP agreed to dig up this weeping silver pear, which was on a bit of a lean, though nothing was broken. It's now planted in the middle of the Glass-House Garden - much better. After all, there are two others in the Hazelnut Orchard, in Cat's Memorial Row.